Contest is open to ALL COUNTRIES! Make sure to use the same name in the comment section as you did for the rafflecopter widget! The competition starts 22-12-2014 00:01AM (GMT+1) and ends 27-12-2014 12:00PM (GMT+1). The two winners will be announced after the contest closes, and will be contacted trough E-mail. 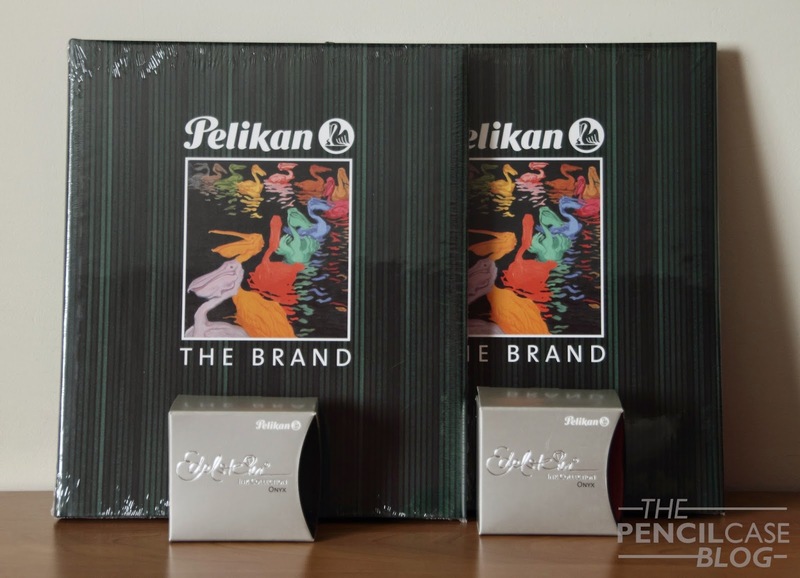 Each winner will receive one Pelikan 'The brand' book, and a bottle of Edelstein Onyx (black) ink. Winners will be contacted by E-mail, and will be announced here on the blog! My favorite Pelikan product is actually not new. It's a calligraphy pen that I bought quite a few years ago and rediscovered this year. It writes beautifully and loves most of the inks I give it. It was inexpensive, but the quality is wonderful. A wonderful nib. The only Pelikan that I really appreciate and is within my price range is the M200. I'd like to splurge on an M800 or M1000 but not today (or any time soon)! This is nice to see, prizes not so excessively expensive one cannot but feel guilty to join it. The ink interests me as I have not yet tried any Edelstein ink (I myself can't believe that considering my ink collection!) so this would be a very welcome addition. As I mentioned before, I really like your blog Dries, keep up the good work. What a great giveaway for Christmas. There are many Pelikans I like, including the 215 series the tortoiseshell pens and the 605. Of really like to try out an M800. I don't own any Pelikan products as of right now, but I've got my eye on a Souveran 800. Thanks for the giveaway. I have a M805 that when I got it, it became a daily carry. I'm really looking forward to receiving a Pelikan Twist fountain pen (in orange) from my wish list this year! I would really love to try a gold nib from Pelikan, since I have the M205and am only lukewarm about it. Maybe a heavier pen.. I just have some Royal Blue 5001 ink, but would love to have a m600 Souverän Tortoiseshell-White pen. I obviosly meant the 4001 Royal Blue. I'm a big fan of Pelikan Edelstein Tanzanite. It's such a great blue-black ink. I've got a Pelikan M200 filled up with P.W. Akkerman Trêves-Turqious ink for daily use and a new and never inked up Pelikan M215 Lozenge. Both of them got a medium-sized nib. Maybe some day I will purchase a blue striped M600/M800 but a bit too expensive for me at the moment. I would so love to have a Limited Edition Raden Moonlight pen. I don't own any Pelikan pens, this (fingers crossed) will be my first. I lurve Edelstein Turmaline: such a lovely shade of pink. I love my Pelikan tortoise pen but would be fickle if I had Raden Moonlight. I'm undecided between the M405 and the M805, both with blue stripes. However, one of the two pens is in my wishlist! I would love to own a M1005 demo! Favourite pen is the brown tortoise! My perfect combo is the Pelikan 215 filled with Perle Noire from J. Herbin and the 201 EF nib with Pelikan 4001 Briliant Black. 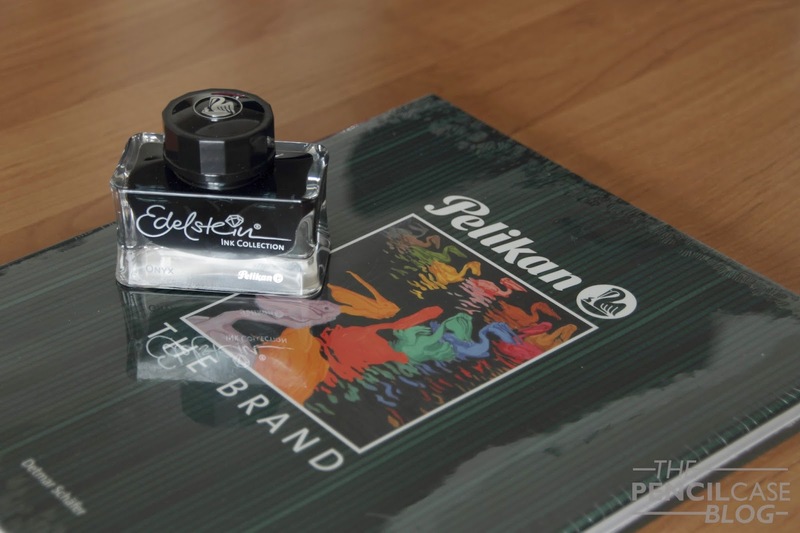 I don't own any Pelikan products, but I'd love to. The pens and inks are beautiful; I've got my eye on the Edelstein Topaz. Actually this book is on top of my Pelikan wishlist! Thank you for the giveaway. I just bought an edelstein ink in turmaline, lovely reddish pink! I really like the m300. A custom xxxf is definitely on my to-buy list. I tried a pelikan m600 once. It was amazing. I loved it! I own Pelikan M150 and M200. Both are EDC pens. My favourite pen is the Pelikan M600, because I own one. The M1000 is on my wish list for long now. I have always a pen inked up with Edelstein Tanzanite and I love Aventurine very much.